A painting of a landscape rendered in bright colors. To render means ‘to make something become something’ as well as ‘to provide,’ whether it is a service or aid. Render also means ‘to pay’ or ‘to submit something for payment’ and ‘to deliver officially’ as well. In addition, render means ‘to translate’ or ‘to represent in drawing or painting.’ Render also means ‘to melt down,’ as done with fat, or ‘to process the carcass of an animal for industrial use.’ In most of these senses render is rather formal. The shock rendered John speechless. This organization renderss assistance to vulnerable people. Everyone who works has to render taxes to the state. The company rendered its account to the customer. The translator specializes in rendering French literary texts in English. 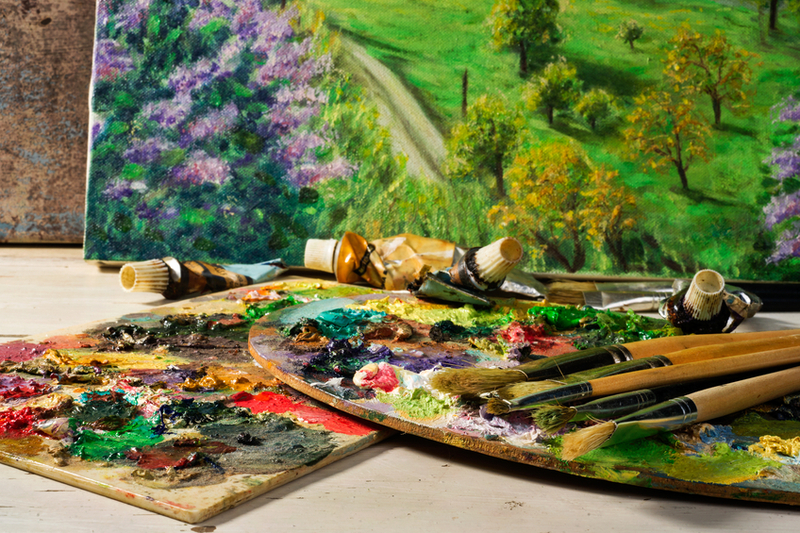 The artist renders the still life in oil paints. Part of the candles is rendered from animal fat. Render, as a noun, is also a building term for the hard plaster that covers the outside of buildings. Rendering, by analogy with the artistic sense, is also the process of generating an image from a 2D or 3D model, used in a number of fields, such as architecture and visual effects used in TV, film, and video games. Render first appeared in Middle English in the late 13th century, as the verbrendren, meaning ‘to repeat, say again or give back.’ It came into English through the Middle French rendre, meaning ‘to give back, present or yield,’ but it originated in the Vulgar Latin rendere, an alteration of the Latin reddere (to give back). The word rent has the same origin: it comes from rendita, the past participle of the Vulgar Latin rendere.